There’s a lot to like about Last Chance for Christmas, but you also have to factor in an ethically challenged Mrs. Claus. She’s not the worst person in this film, but her predilections change the tenor of things. Instead of the generous, warm-spirited grandma we’re used to seeing, this Mrs. St. Nick (Jayne Eastwood) is a cranky utilitarian, totally comfortable with outright theft and the destruction of a family’s livelihood if that means keeping Christmas on schedule. When stablehand John (Gabriel Hogan) discovers a fracture in Prancer’s hoof, she orders him to find another reindeer straight away. Never mind the Clauses’ mismanagement has left them without a backup plan. With only four days until Christmas, John flies down to Buckley Falls, Alaska to secure a reindeer from the Miller ranch. He’s surprised to find Annie Miller (Hilarie Burton) instead of her father and, as he’s a man who spends most of his time with animals and not people, ends up coming off as a bit of a loose screw. Annie thinks he’s someone from the bank, which is foreclosing on her reindeer farm, or a hack from Reginald Buckley’s (Tim Matheson) company, which hopes to incorporate her land into a winter activity park. Neither tries to clarify their misunderstandings, but when has that stopped anyone from falling in love? I haven’t seen that much of Hogan and Burton, but I like both of them enough to immediately warm to their characters. John is wonderfully awkward, except around Frankie, the reindeer he wants to borrow, and Annie’s daughter, Madison (Lola Flanery). He wins the shy girl over by being his bumbling self. She sees through Buckley’s sugarcoated promises to protect their reindeer and knows that John’s the real deal, a true reindeer whisperer. Meanwhile, Annie is naturally guarded, suspicious about this guy from head to toe and with good reason. She’s days away from getting kicked out of her home, her father’s life’s work destroyed. Who wouldn’t be exhausted and cranky? There’s a slight traffic jam as the story pushes through the second act, though not anything that slows things too much. John, Annie, and Madison have to figure out a way to save the farm and Christmas all while figuring out how they like coming together as a family. In addition, John struggles with an ethical dilemma, whether he should steal a reindeer and possibly ruin the Millers or not steal the reindeer and ruin Christmas for everyone in the world. It’s a problem above his pay grade, but John is a principled guy and just what we need to counter flinty Mrs. Claus. 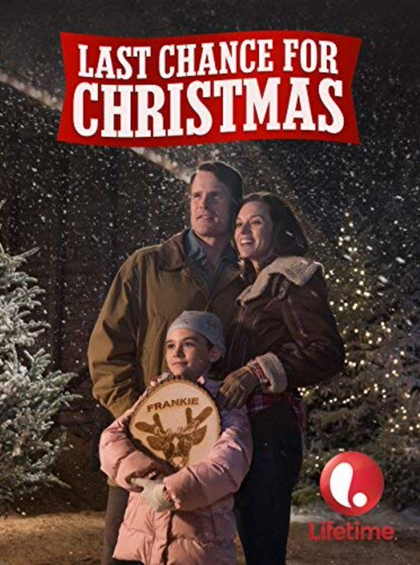 Posted in USA, Western TV reviews and tagged Christmas movies, romance, TV movie on February 26, 2019 by limmer13. Hallmark Christmas movies don’t tend to be memorable because they’re good. If they are memorable at all, it’s because of something along the lines of “I remember this movie because Mira Sorvino had creepy old age makeup and played Mrs. Claus, who took a trip to Vegas and then ran into cutie bartender Andrew Walker.” See, very memorable, which is more than I can say about Mistletoe Over Manhattan, a film that’s also about a dippy Mrs. Claus who finds herself saving Christmas and having to go to America to do so. This one doesn’t have as wacky a premise and therefore will be wiped from my brain the second I finish writing this review, but that’s not to say it’s horrible movie. In fact, it’s perfectly enjoyable Hallmark fare; you just don’t need to go out of your way to find it. In this iteration of the Mrs. Claus chronicles, partner Nick (Mairtin O’Carrigan) has lost a step or two. Unable to keep up with 21st century demands, he’s not in a great position to bring Christmas joy to children around the world. The ever attentive Becca Claus (Tedde Moore) fears that Christmas could be cancelled this year, and since the elves aren’t helping much, she intervenes. Her idea is to go back to New York City, where she and her husband once shared a romantic holiday together, and find something that will remind him of the spirit of the season. I don’t know why the Clauses are always coming to America to solve their Christmas woes. I’d opt for Finland or Canada if I had the choice, but I don’t because this is fake and so America it is. Becca finds that the New York she remembers has changed though. She barely has money to cover a hotel and meals and the department store doormen are rude. She meets a friendly police officer just in time, thereby preventing this movie from becoming a different one entirely. Joe (Greg Bryk) is going through a divorce from Lucy (Tricia Helfer), and life is miserable for everyone. The former couple are sharing custody of their two kids, dream child Travis (Peter Ducunha) and sullen teen Bailey (Olivia Scriven), but Joe occasionally ducks out on his commitment in order to cover extra shifts for his friends. Meanwhile Lucy has moved on with her boss, Parker (Damon Runyan). The relationship can’t be that great since he wants to move down to Florida and ship the kids off to boarding school, but she doesn’t know this. Enter Becca, whom Joe quickly hires as their new nanny. If this were a Lifetime movie, she would turn out to be serial killer granny, and indeed, she suggests he exercise a little more caution when hiring the help. This is Hallmark though, so Becca is wonderful, working her magic on the family by showing them the love and stability they’ve been missing. About her only fault is her blind dislike for tofu, which would get her nixed from my home. The film complements a snowy afternoon in December. It’s calming and low pressure and sometimes funny. Dedicated elf Sparky (Ken Hall) generates a lot of the humor along with a bumbling Santa. I also like the coupling of Bryk and Helfer, relatively new faces amongst the usual stock players. Bryk is a different kind of lead than we’re used to. He’s quieter, not as likely to chuck Christmas trees here and there. Guess that’s what you get when you set stories in the city instead of on someone’s farm. A Holiday to Remember is not to be confused with A Christmas to Remember, though either film is acceptable if romance and Christmas feels are what you want. Randy Travis and Connie Sellecca fans of course should stick with the former. First broadcast on CBS in 1995, it has all the trappings of a Hallmark movie today, a positive or negative depending on how you look at it. Two ex-partners reunite in their small town and rediscover their love and their Christmas spirit, though the B plot involving a young runaway tilts it towards more general family fare. Sellecca plays Carolyn, a newly divorced psychologist from L.A. who’s had it with the city. She drags her teenage daughter, Jordy (Asia Vieira), across the country and back to her hometown of Mayville, South Carolina just in time for Christmas. Their fixer upper is HGTV worthy; water’s dripping everywhere and the front porch is nearly rotted through, but Carolyn thinks it gives the home a cozier feel. Anyway, she’s busy reconnecting with her neighbor, Miz Leona (Rue McClanahan), also the aunt of her ex-fiancé, Clay (Travis). It’s a bit uncomfortable when he strides in, ornery as ever. You can’t blame him for glaring at her though. After all, it was Carolyn left him at the altar and then skipped town without a word. My sympathy for Clay stops when he starts railing about Carolyn’s fancy book learning, however. I have no energy for that nonsense, and to Carolyn’s point, he agreed to leave Mayville so that they could both explore life outside their small town. I’ll let him knock her for not knowing how to chop wood but not for earning a Ph.D. Despite their differences, the former couple can’t help but rekindle their romance. There’s not much else to do in any case, which is why I’m grateful for an interesting subplot. Carolyn discovers a boy hiding out in her basement, and instead of turning him over to the police, who happens to be Clay, she goes into mother-psychologist mode and takes him in. Clay and his social worker girlfriend are law-abiding folks and want William (Kyle Fairlie) put into care while arrangements can be made with a foster family. Carolyn scoffs at the plan, arguing that the paperwork alone would mean no real Christmas for the poor kid, also the emotional distress. I appreciate that the story allows for stronger character arcs than I’m used to in these movies. While Carolyn and Clay debate the ethics of filing a case with child services, William wrestles with his place amongst his new caretakers and the town. Thanks to good acting from Farlie, the character comes off as a spunky kid who blends his rascally nature with his need for love and stability. I even managed to find a soft spot for Jordy, a bratty only child but one with no filter. She has a habit of creating chaos just by talking, and I imagined she might grow into a Miz Leona someday. As for Rue McClanahan, well, she’s a damn treasure. It’s a shame she didn’t have a bigger part, but she’s salty enough to give the whole film a little something extra. Posted in USA, Western TV reviews and tagged Christmas movies, romance, TV movie on February 14, 2019 by limmer13. There are plenty of movies to choose from if you want to watch one about a down-on-their-luck family that gets a little holiday help during Christmas. One of my favorite films that kind of falls into this subgenre is Where God Left His Shoes. The 2007 drama stars John Leguizamo as a father who tries to get his family out of a shelter and into their own home before Christmas. It treats homelessness with the seriousness it deserves and leaves you feeling both uplifted and uneasy. I also recently caught up The Christmas Star, an older movie that fits snugly into this category. Not as powerful as Leguizamo’s film, it nevertheless has touching moments that make it worthwhile. So it was with some expectation that I thought One Magic Christmas would deliver. Unfortunately, it buries you in so much sorrow that its feel-good ending comes as a relief rather than as any celebration. Mary Steenburgen is masterful as overworked mom and wife Ginny Grainger, wearing her exhaustion like it’s the only thing she’s got. With an unemployed husband and bills coming due, she has to take a job at the grocery store. You can see her soul creeping away as she stands at the till, leaving her hollowed out by shift’s end. Then things go from bad to worse. It’s not just about finding a way to pay for gifts or arguing about whether Ginny’s husband, Jack (Basaraba), should start his own bike shop. A chain of events leads to a devastating Christmas, a place where all hope has been abandoned. 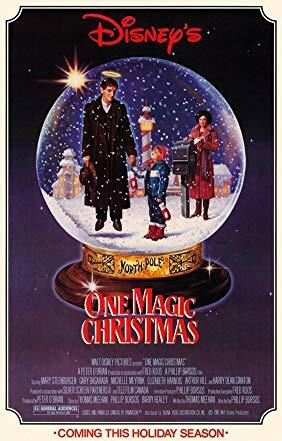 The thinking behind this movie seems to be that the more sadness and misery these characters experience, the more joyful and redemptive their Christmas will be. A somewhat forgotten angel, Gideon (Harry Dean Stanton), is witness to what transpires and has been sent by God, or the talking moon – it’s not clear which, to help Ginny. But help comes via the most circuitous, painful route imaginable, and I’m sure the movie would be just as moving had Ginny not felt like she’d entered the gates of Hell. The story is a pile-up of tragedy, which doesn’t just make things sad, it also makes them slow. Steenburgen has a scene early in the film where she’s singing to the Supremes in the shower, and it’s a rare fun and carefree moment. The movie doesn’t allow enough of these though. Sarah Polley plays the sweet neighbor girl, and Ginny’s own kids add charm. Her daughter (Elisabeth Harnois) wants to send a letter to Santa, hoping that he can change things for the better. I even liked sad, hangdog Gideon who does bring perspective and a sense of calm despite talking like he’s the angel that all the other angels don’t invite to their parties. All I need from this supposedly family-friendly movie is a little more optimism. Posted in USA, Western movie reviews and tagged Christmas movies, drama, family films on February 13, 2019 by limmer13. 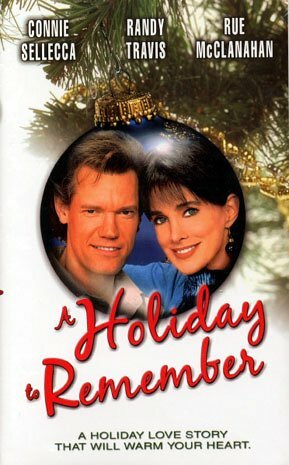 Come Dance with Me isn’t a Christmas film that gets endlessly repeated on Hallmark, and when it does appear on the schedule, it’s at three in the morning. It’s not hard to see why. I wouldn’t waste my precious daytime hours with this movie when there are better ones with similar plots. Take Sound of Christmas, for example, which also features a woman in the performing arts who falls in love with the man who’s about to evict her. I still remember the lovely brownstone and the sense of a cozy urban arts space that gave the movie a unique touch. This movie, on the other hand, doesn’t take advantage of the one thing that would make it stand out, and that is dancing. Really a dance film in name only, it’s about Jack (Andrew McCarthy) and Christine (Michelle Nolden) and occasionally the waltz. He has a posh job at a financial services firm but he’s not old money enough to win the approval of his girlfriend’s mom, who is also his boss’s wife. A little snobbery won’t stop Jack from proposing at the company Christmas party, and if anything, he hopes his new dance skills will make an impression. But first he needs to get some of those skills and enlists the help of Christine. She owns her own studio and agrees to a few lessons. Everything is grand for a day or two, but then she learns that her lease isn’t being renewed and he finds out that he’s the one repossessing the building. There’s some humor, and McCarthy is game for whatever the script requires. As Jack tries to evade detection, he makes mad and goofy attempts to keep up a real relationship with Christine even though he knows the bottom will eventually fall out. He has to hide both his identity and the fact that he’s got a girlfriend who he kind of wants to marry. Nolden, meanwhile, is much more serious. She and McCarthy don’t have great chemistry, though I blame that on the writing. She just doesn’t have much to do with her character. Christine is so preoccupied with losing her studio, and understandably so, that Nolden doesn’t get room to explore anything else. But bad character development isn’t enough to sink a film like this. What does eventually doom this project is the lack of anything to pick up the slack. A couple dance numbers scattered throughout could have lifted the sagging plot, which is what saved Lifetime’s Holiday Spin. It’s still an embarrassing teen soap opera also about a studio threatened with closure, but it gets great jolts of energy with key ensemble pieces mixed with more intimate duets. One can at least appreciate the effort that movie put into its dance scenes, something this film doesn’t really bother with. Instead, the big number is saved for the end, which isn’t enough even if you’ve managed to get that far. All this movie needed was a bit of creativity, some musical and visual flair to complement the characters and their story. I’ll again direct everyone to Hallmark’s Nutcracker Christmas, the criminally underwatched movie that treats its subjects and the performing arts with the love they deserve. Posted in USA, Western TV reviews and tagged Christmas movies, Hallmark Channel, romance, TV movie on February 13, 2019 by limmer13.